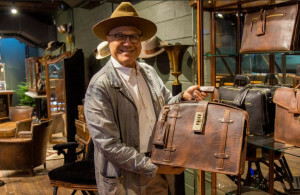 Will Leather Goods, the Eugene, Ore.-based luxury leather products maker, has settled into its new location in Detroit’s Midtown, which officially opens Wednesday. Founder and owner William Adler said his purpose is to inspire and be inspired by the Detroit community. Being born and raised in Detroit makes this store opening special to him. Birmingham-based McIntosh Poris Associates was lead architect of the new Detroit store with the build-out being completed by Micco Construction in Pontiac and Architectual Salvage Warehouse Detroit.